+ G. A. Culpepper 5 Mar 1863 - 15 Jul 1926. Grady Lee Culpepper, Morris, Jefferson Co., Alabama, age 30, born 10 Nov 1886 in Fort Payne, DeKalb Co., Alabama, Employed as a Miner at the Majestic Coal Company, Majestic, Jefferson Co., Alabama; Married with two children; Caucasian; Previously served 2 years as a Seaman in the US Navy; Claims exemption from service in order to support family; Medium height, Medium build, Brown eyes, Dark brown hair, Not bald, No disabilities. Registered 5 Jun 1917 at Brookside, Jefferson Co., Alabama. Ethel Culpepper, Daughter, F, Jan 1893, 7, Sng, AL/AL/AL. ED 161, sheet 2, line 78, household of Achrah M. Norton. G. A. Culpepper died Jul 1926 in Jefferson Co., Alabama. ED 73, sheet 4, line 26. E-mail written 2001-2007 to Lew Griffin & Warren Culpepper from Jill G. Lewis, e-mail address. ED 72, sheet 10, line 53. Sarah E. Culpepper, Sister, F, Aug 1880, 19, Sng, AL/AL/AL. ED 72, sheet 16, line 22. Jospeh M. Ausley, GrandSon, M, Wh, 1/12, sng, AL/AL/AL. Gladstone L. Culpepper died Jul 1930 in Jefferson Co., Alabama. - Mary Lucille Culpepper, 30 Sep 1909 - 6 May 1994. ED 73, sheet 1, line 95. Clara W. Culpepper, Daughter, F, Wh, 3, sng, AL/AL/TN. Saint Clair News-Aegis, Pell City, AL. Obituary of Loranza Dowe Culpepper, published 30 Apr 2008. ED 72, sheet 11, line 70. Grover C. Culpepper and Grace Stansel on 29 Jul 1916 in Walker Co., GA, 5-454. 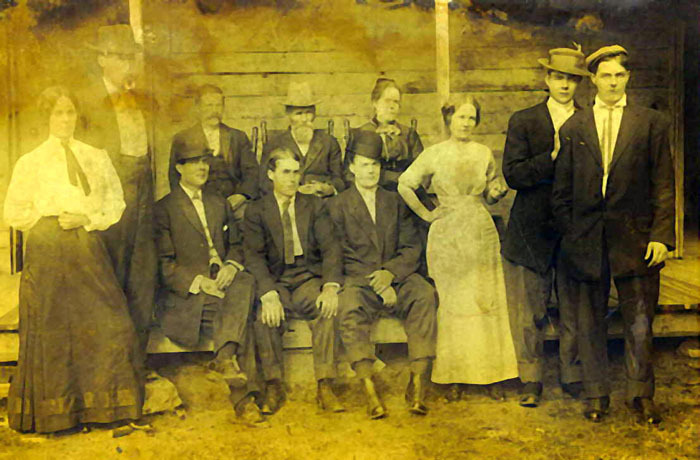 Zoolie Culpepper and David Styles on 27 Mar 1901 in Walker Co., GA, 2-246. Biography* � William Rufus Culpepper was born March 5, 1892, on Lookout Mountain near DeSoto State Park and lived near his birth place all of his life. He was the oldest son of Donald Culpepper. He has four brothers, Joe, Dave, Carl and Curtis He had three sisters Nora (Baker) Glenna (Rogers) and Margie Culpepper. He was a Methodist by faith and a member of new Oregon Methodist Church. He married Rena Fischer in 1912. They had one daughter, Rosy Lee, born in 1916, married Wilburn Howell. After the death of Rena, he married Ida Lee Williamson in 1920, and they were married over 60 years. They had two boys, D. L., born in 1922 married Mary Abrams, and Charlie, born in 1929, married Patricia Tucker. Grandchildren are, William Thomas Howell, Marla Leigh Culpepper and special granddaughter, Nellie Fay Wyn. Great grandchildren are Billie Tom, Kelli, and Dally Howell. Special great grandchildren are Traci Massy, Kevin, and Keenan Wynn. was done by hand until 1940 when he built a modern dairy. He continued working until late 1960. With all the work, he still found time to visit the sick, elderly, and needy. He had a special compassion for anyone with a problem and was well known for helping in any way possible. To his grandchildren, he was "Pow Pa." I came in his later years and I spent a lot of time with Pow Pa. He taught me many things, and I share his love of the Farm. I thought he was the most unique person I had ever known. I looked forward to my time spent with hint until his death, February 1, 1983. E-mail written 1999-2004 to Lew Griffin from Sam Bruce Culpepper (#50067), e-mail address. William L. Culpepper married Eliza Ann Martin on 27 Mar 1879 in Henry Co., Alabama, Book 1877-1881, page 261. Elisar Culpepper, Wife, F, md, Wh, 20, Keeping House, AL/--/--. John Lymon Culpepper, RFD #1, Columbia, Henry Co., AL, Age 38, born 9 Sep 1880, Caucasian, Farmer for J. C. Blackshear of RFD #1, Columbia, Henry Co., AL; Nearest relative: Mrs. Addie Culpepper of RFD 1, Columbia, Henry Co., AL; Medium Height, Medium Build, Blue Eyes, Light Hair; No Disabilities. Signed 12 Sep 1918 in Abbeville, Henry Co., AL. W. L. Culpepper married Rachel Cutcheon on 24 Mar 1901 in Henry Co., Alabama, Book 1900-1901, page 496. + J. O. Culpepper, 18 Oct 1863 - 30 Oct 1921. Ralph Culpepper, Son, M, W, 7/12, Sng, AL/AL/AL. + Charles Ralph Culpepper, 8 Sep 1909 - 19 Nov 1944. Lillie M. (Culpepper) Herring, Wife, F, Wh, 22, md@21, AL/AL/AL, Sales/Dry Goods Store.